Pricing for exclusive use of the venue, any day from 11:00 am to midnight. ❖ Exclusive use of the grounds for photographs, bouncy castle, games etc. Our Ceremony Room is licensed to hold Civil Marriage Services and holds up to 100 people. Couples must contact West Sussex County Council Registry Office directly (that’s the legal bit!) to make registrar arrangements. Our Reception Venue can hold from 50 to 200 people comfortably seated with a fully licensed bar and a raised feature dance floor. The venue is exclusively yours from 11am to midnight. One of the most important aspects of your day is the food & drink. When selecting one of our catering partners it is important to find the right offering for your guests. We ask our caterers for a bespoke package starting from £55 per guest, which includes Canapes during the Pre- Reception drinks, 3 course wedding breakfast & evening food. We have a fully stocked, licensed bar in the main barn that will be open from 11am to 11:30pm on your big day, and our drinks are competitively priced! A full pricelist is available on request. We have an extensive range of drink options for your special day including pre-reception drinks on our formal lawns, carefully selected champagnes for your toasts, and wine for your tables. We also have a selection of non-alcoholic options available. Due to our licence, all alcohol and drinks consumed on the premises must be supplied by Selden Barns. At Selden Barns we know decorating the venue to your own unique taste or theme is key to achieving your dream day. Tablecloths are a necessity for your tables and we would happily supply these from one of our specialist suppliers in a variety of colours as well as the traditional white or ivory. We are happy to have most outdoor games and have plenty of space for bouncy castles etc at no extra charge. Please see terms and conditions for specific/safety instructions relating to any activity. 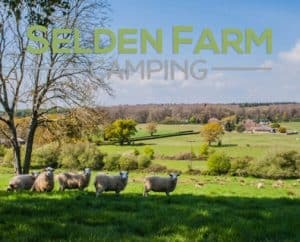 At Selden Barns, we have delightful and modern Guest Accommodation for up to 22 people. We have 2 Family Rooms, 4 Doubles, 1 Twin Room and, NEW for 2019, our exclusive Gatehouse Bridal Suite. All rooms have en-suite facilities, their own front door and locally sourced breakfast included. Hire for all rooms with breakfasts is £1000 per night. Entry to rooms on the day of the wedding is available from 2pm, possibly earlier with consent. Check out is at 10am. We ask that the wedding party allocate all accommodation rooms to guests for the night of their wedding. And don’t forget your photographer! Click here for a list of recommended suppliers.